If you want a comprehensive guide on how to change your Cricket APN Settings, you’ve come to the right place. We’ve included a step by step guide to programming your mobile device with the correct mobile data network configurations. This comprehensive guide shows you the correct way for configuring your Cricket APN settings. This is especially useful for users who use their data wireless plans with unlocked devices that came straight from retailers or the manufacturer. Troubleshooting your Cricket data settings and connection is very important especially for important functions. If you know a trick or two to help you see where your connection got wrong, you’ll know where to look if there’s a wrong setting in your APN. Cricket wireless APN values for unlocked phones are not that hard to figure out. Our guide comprehensively includes the three most popular cellphone operating systems: Android, iOS and Windows Phone. We got all the Cricket Access Point Names. Is your Cricket mobile data still not working after configuring these values? Try our tips at the end of this page. Your hot new smartphone won’t be much of use without your unlimited mobile data plan. Configuring the right Cricket APN values for the Galaxy S6, S7 and S8 family is a condition for enabling your mobile data. Without the correct Access Point Name settings, your phone is not able to connect with the Cricket mobile network. There are two ways to program the right settings on your phone. You can use Automatic or Manual Configuration. After you install your Cricket SIM in your device, you will receive 2 messages in your messages application. Tap to view. The messages are about your Internet and MMS services with Cricket. They are ready to be configured. Some devices can have the option to install the settings directly from the message. If you do not have this, proceed to step 3. You will receive a Configuration Message which can easily be accessed via your notifications. Open the message. This message will list all the APN settings details that you need. It may also come with the Install button at the bottom, which will allow for an automatic, instant configuration. Tap Install, then tap OK. You will be informed on the completion of the installation via pop-up message. If you cannot Install, proceed to Manual Configuration. ​6. After completing adding the details, you should be finished and ready to connect. ​iOS configuration is very simple, advanced, yet very effective. Note that you need to check if your iPhone model is compatible with the Cricket service. A rule of thumb is that your iPhone should be at least an iPhone 5 or a newer model. With these settings you will not have any issues with mobile data connection, 3G, 4G or LTE. Connect your device to a stable wireless internet connection. Connect your device to a power outlet, or maintain your device’s battery life at 50% charge. Go to Software Update to ensure your software’s compatibility. If you need to update, do so before editing the APN settings. Download and Install the Update. Review the Terms and Conditions – select Agree when finished. Select Install Now and wait for your phone to finish. ​Your unique Windows Phone can do everything that mainstream phones can – especially when you have Cricket’s unlimited data working on your device. You will need to do a manual configuration for both data and MMS. Open the Windows Settings application. Select Cellular + SIM or Cellular. Cricket Wireless mobile data still not working? Don’t panic just yet. You need to see if your device is programmed for a Cricket APN and thus will be compatible with a connection with your provider. Your phone must be unlocked and capable of having a Cricket SIM. If your device was issued by a different carrier, it is likely to be locked so best to check. Check the following points to make sure that you have a subscribtion to the Cricket Wireless Mobile data and your phone is compatible with their mobile network. Verify that your phone is compatible with a Cricket data connection. Provide your Device ID on the Cricket website to find out if your device is compatible. Make sure that you have a Cricket SIM card with data plan and ensure that you’ve paid for your subscription. Activate your subscription online at cricketwireless.com/activate. Insert your SIM card into your phone and turn the mobile data on. 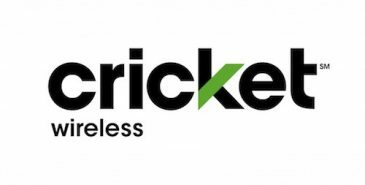 ​Cricket’s main selling point when it comes to their wireless data services is their high area coverage, especially since they were acquired by AT&T and continue to operate with the addition of the telecom giant’s wide coverage network. Cricket is a small player, but their offering of an unlimited internet plan, makes it very attractive to many consumers. The low-price tags make it an even sweeter deal that’s hard to ignore. However, unlimited internet plans offered by carriers come at a price: the internet speed is much slower. You can compare it with traffic on a highway, more data usage through increased demand means slower internet speeds. Cricket in no exception to this rule. Especially since they operate on the AT&T network, which is one of the largest mobile network providers with many subscribers. Unlimited plans with users streaming video’s put a major burden on the network speed of the carrier. You can check the Internet speed and coverage in your region on Opensignal. ​Copyright Text 2018 by ​Vsenn participates in the Amazon Services LLC Associates Program, an affiliate advertising program designed to provide a means for sites to earn advertising fees by advertising and linking to Amazon.com. Amazon and the Amazon logo are trademarks of Amazon.com, Inc. or its affiliates.